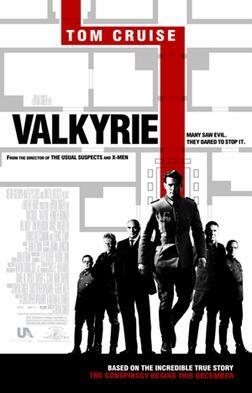 Valkyrie is an historical thriller about Nazi officer Claus von Stauffenberg and his failed attempt to assassinate Hitler toward the end of WW2. The challenge with historical movies is that the audience already knows the outcome. One way to overcome this is to add a love story, like Titanic. You have to give the audience something. Valkyrie gives us two things: suspense and Tom Cruise. I am no expert on this period, but I had heard about the Stauffenberg plot and the movie seemed pretty faithful to history. I was also on the edge of my seat through most of it. Tom Cruise does a great job, especially toward the end as the wheels come off. Hey, Kimberly! Tom Cruise doesn’t do a bad job in this. He is so handsome, it’s hard to imagine him as the maimed and blind Stauffenberg for a bit, but once I got past that I thought he did fine with the role. I hadn’t realized some places didn’t see Valkyrie when it was released in the States, but now that you mention it, that makes perfect sense. You’ll have to keep me posted on films that debut from Sweden!